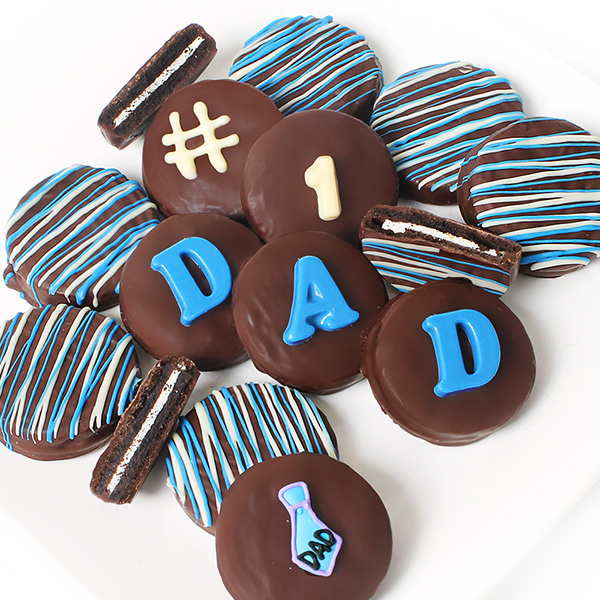 Show Dad that he's #1 this Father's Day with these delicious Oreo® Cookies! We've taken dad's favorite crispy cookies and dipped them by hand in our luscious Belgian chocolate. Each Oreo® is lovingly embellished with our signature appliques and swirls of blue and white candy melt. There's no better way to show your father how much you love him than with these sweet treats!